Replacement: None. 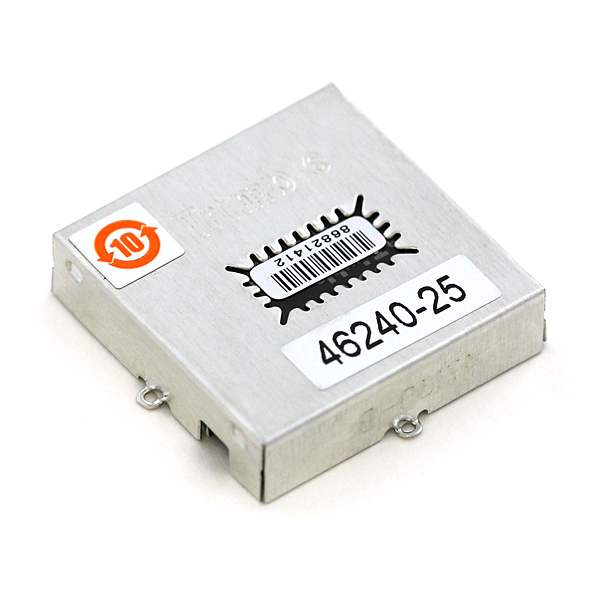 This GPS module is an EOL part. This page is for reference only. 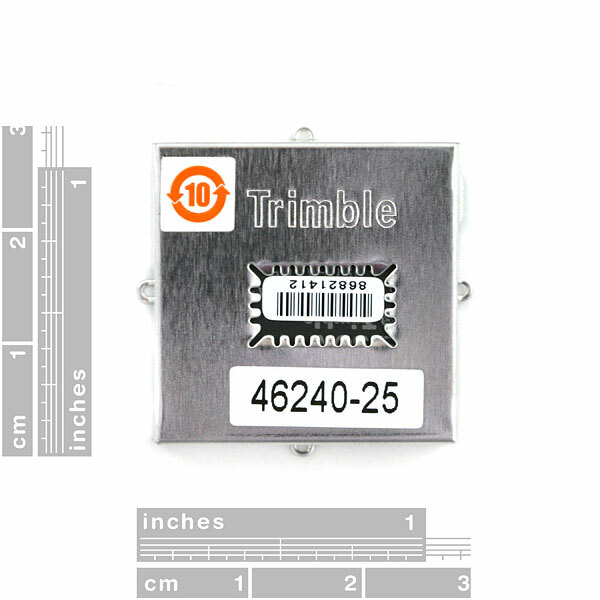 The Lassen iQ is the latest GPS receiver from the world renowned Trimble. This is one of the smallest, easiest to use, and lowest power receivers we've ever seen! I just used this receiver in a high altitude balloon project and it performed fantastically. With battery backup it gets a fix inside in just a few minutes, outside almost instantly. It tracked its position within 5-10 feet up to an altitude of 90,000 feet when the balloon popped. The only piece of electronics I never had a problem with during the whole development process. Sorry to see its retirement coming soon, it's such a good unit! Just a heads-up, this doesn't come with any cables or connectors. Be sure to get one along with an antenna. Just received the Lassen in snazzy SparkFun red. I wired it up for NMEA serial output and hooked it to a USB level converter so I could see the output on my computer. RealTerm showed that it alternates putting out GPGGA and GPVTA sequences. 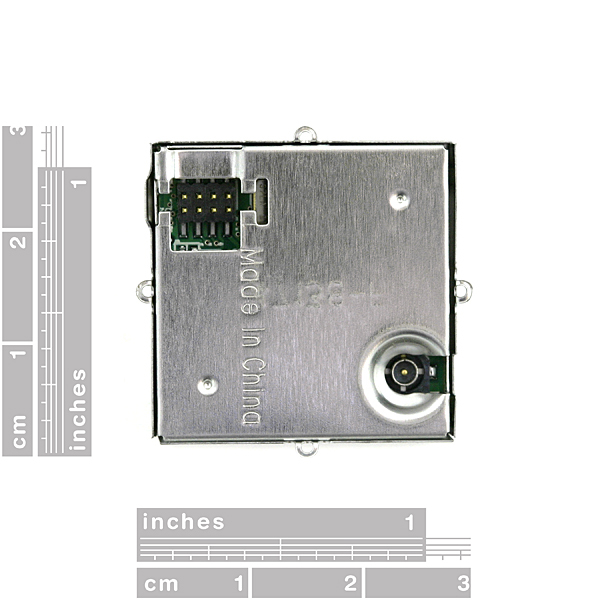 Also note that the connection between the GPS and the antenna is very secure, it may take some gentle tugging to disconnect the antenna from the casing. Otherwise a great unit! Small, light, and starting transmitting data as soon as I hooked it up. The antenna hook up is very small and does require a bit of effort to disconnect them. These antenna aren't really designed to be removed often due to this-it can lead to tearing on the antenna, so just be aware of this. Most GPS modules output the altitude as part of the default data out-this one included. You would want the antenna linked below in related products. How you want and feel comfortable wiring this up to an Arduino is up to you. Wish there was a simple way to get it reprogrammed without having to buy the $40 breakout board for just one operation. Is there a breakout board for this anywhere? That would be pretty handy since that that connector is so small. Scroll down to "ProtoType Adaptors": http://www.embedtronics.com/GPS/lassenSQ.html. It says Lassen SQ but will work with a Lassen IQ. You have to email to order one. I bought one and it works fine - you can buy it with or without the SMD header soldered on the board. The site is Australian so the prices are in Australian dollars, iirc. I recently constructed a GPS clock using the Lassen IQ, 3310 Nokia LCD and PIC18F252. Diplays ZDA data - date and time inside the house! Trick is to capture a few satellites with sight of sky with battery back up, and them permanently attach a mains dc adaptor.A 1Farrad capacitor for RAM will keep module in NMEA ASCII mode.